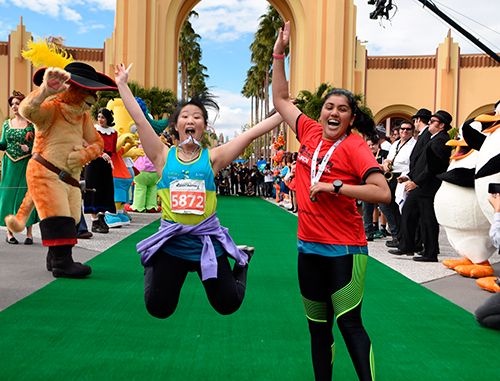 In addition to the Fan Fest, guests can also take part in the Florida Cup 5K at Universal Orlando on Jan. 13, 2019. The race, which will take runners through Universal Studios Florida and Islands of Adventure, is exclusive to guests that purchase a Florida Cup & Universal Orlando vacation package. To reserve a vacation package to Universal Orlando and the Florida Cup, or for additional information, please contact your preferred travel professional. There are only 300 spots left, so hurry up and register! You can't miss this opportunity and be left out! Come join the Universal characters in the first Florida Cup 5K Run! Go to floridacup.com/5k and guarantee your presence!